Numerous trees and a shaded lot will make you feel like you are in the Ozarks when you tour this beautiful lake home! This home was built in 1989, remodeled in 2010, and features 2x6 construction, a metal roof, updated HVAC in 2010, a walk out basement, 3 bedrooms and 1 ½ baths, a laundry room in the ½ bath, and a full kitchen remodel in 2014 including new stainless-steel appliances. A new wrap around porch with a large deck area was added in 2014 with access to both the front and rear of the house with a great view of the lake. There is a second entertaining area under the deck with access to the basement. The yard is separated into two levels by a native stone retaining wall and steps that lead down to the lake. The lot sets in a deep-water location on the lake, perfect for the large covered 12’x28’ boat slip with a 6000 lb. pneumatic boat lift, concrete paver walk area, diving board, and jet ski port. This lake property is nice enough to live in year around yet maintains a cabin feel. Very clean with a lot of updates and is move in ready. At $249,000 the sellers priced this property to sell! 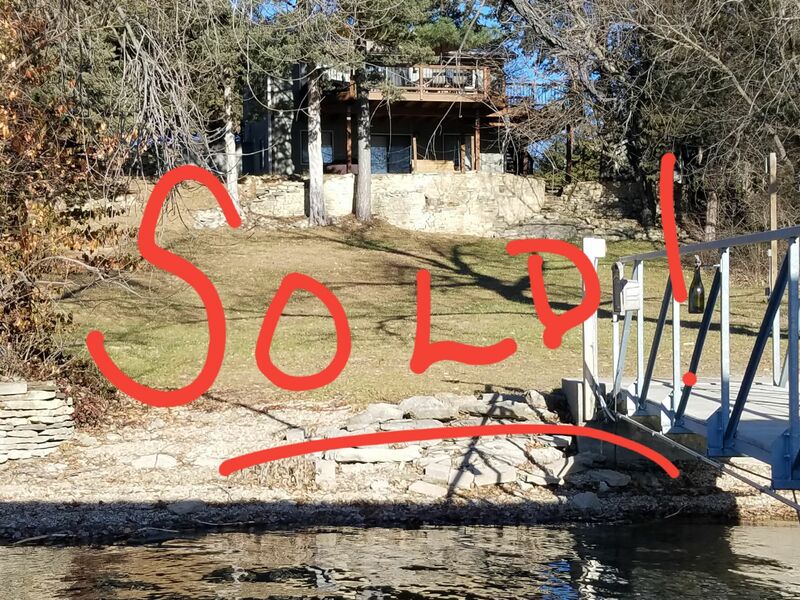 Give Marty Wright of Council Grove Realty a call at 620-767-3258 for more information or to make an appointment to see this beautiful lake home.